Maton and The Folkie have taken their partnership to the next level, and it is all about you, the audience! All 2019 ticket holders can go in the mix to win the new Maton SRS60C series guitar. The Solid Road Series features Queensland Maple back and sides, A Grade Sitka spruce top, scalloped bracing, Queensland Maple neck, Rosewood fingerboard and bridge, crafted by Maton’s senior luthiers and production designers and is valued at $1,999. If you have already purchased your ticket you haven’t missed out. If you haven’t bought your ticket yet, Early Bird Tickets are on sale until 21 December. Which artist are you most excited about seeing at Port Fairy in 2019? 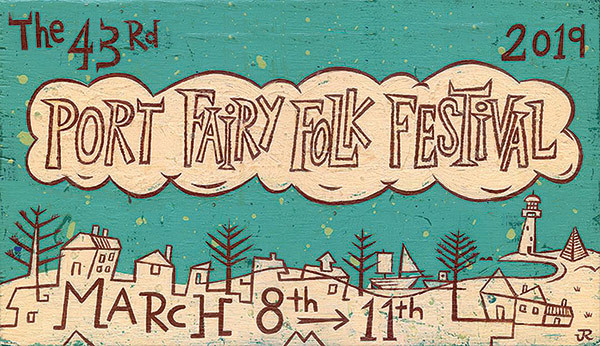 How many Port Fairy Folk Festivals have you attended? Registrations to win the guitar close Friday 2 March. The winner will be notified via phone and email, and be presented with their Maton Guitar at The Guitarists concert on Saturday 9 March 2019. Early bird tickets on sale until 21 December. Click here to book. 15/01/2019 – Your chance to try Australia’s best tasting water! Work with us to reduce single use plastic. 13/12/2018 – YOU could win a beautiful Maton Guitar. Solid Australian Timbers, Solid Australian Tones. 21/11/2018 – Paul ‘Flacco’ Livingston, Alejandro Escovedo, Tim Rogers, Suzette Herft, ukulele workshops with a Woodstock twist and an all mighty Uke Off! 14/11/2018 – Australian exclusive: Melanie to perform at Port Fairy Folk Festival 2019 & celebrate the 50th Anniversary of Woodstock. Tent City Open for Bookings. 12/09/2018 – Ralph McTell and further artists join the line up. Subscriber tickets all gone… Early Bird Tickets on sale now. 05/09/2018 – More wonderful acts and tickets on sale tomorrow! 01/02/2018 – 37 DAYS TO GO! 12/06/2017 – 2018 Writers Program & Visual Arts… Early Bird Tickets On Sale until midnight 8 December. 11/29/2017 – Doug Anthony Allstars join the 2018 lineup. Early Bird tickets on sale until 8 December. 10/24/2017 – Tex, Don & Charlie for two special concerts, plus more!